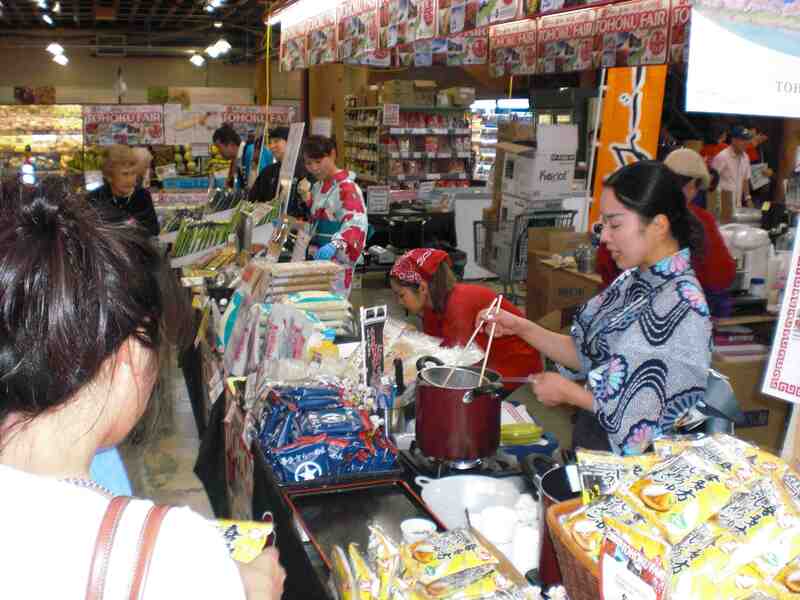 The Tohoku Fair, which promotes food products from Japan’s northeastern prefectures (including areas that were hit by the 2011 tsunami), opened Oct. 19 and runs through Oct. 25 at Marukai’s Gardena store, 1740 W. Artesia Blvd. 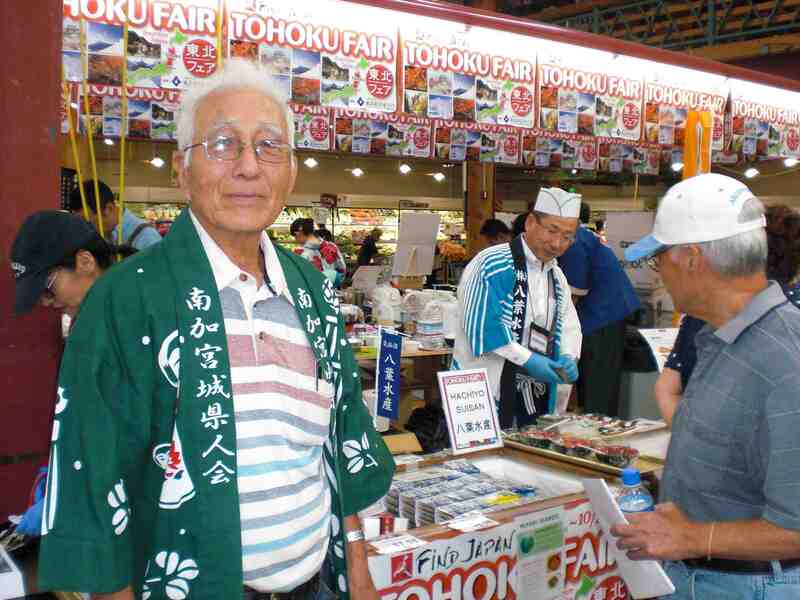 Presented by the Tohoku Economic Federation, the fair features shijimi clams from Aomori, kanzuri (chili paste) from Niigata, makabu seaweed and shiitake from Miyagi, ramen from Fukushima, and more. 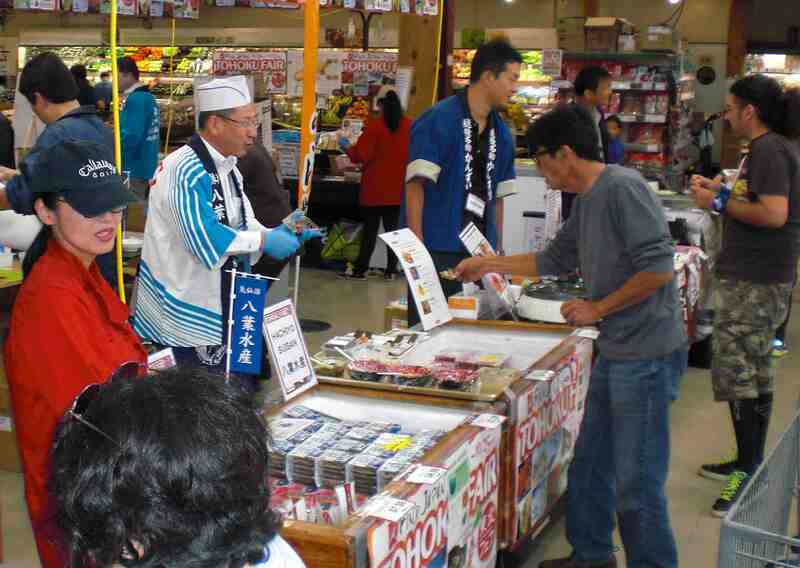 Vendors from Tohoku were welcomed and assisted by members of the Nanka Miyagi Kenjinkai, including its president, Yoshihito Yonezawa (top photo). Store hours are 9 a.m. to 9 p.m. weekdays. The store can be reached at (310) 660-6300.